A display of labor, love of the sea, and the ocean air. 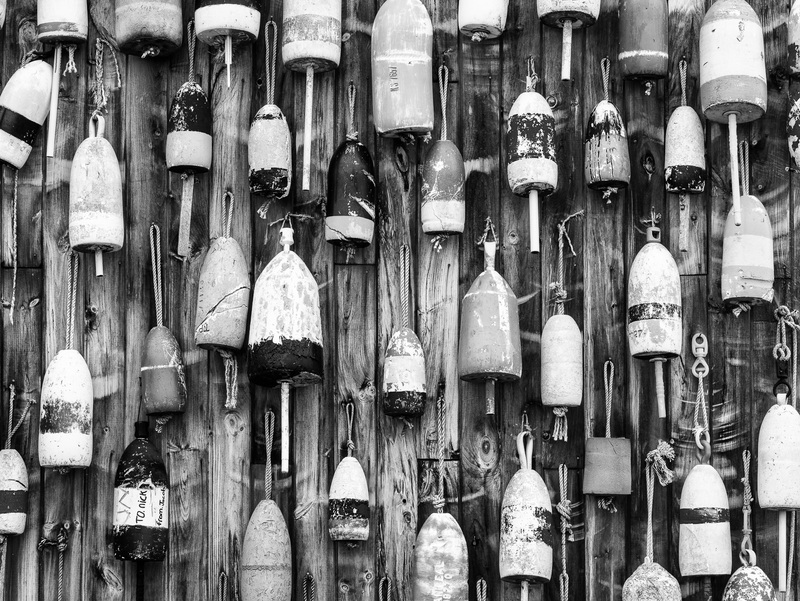 Old lobster trap buoys hung up on the wall. You can see that they still battle the elements from the wear marks of swinging back and forth in the wind. Photo © copyright by Lance B. Carter.